The Mercedes Benz Unimog Snow Plow comes equipped with a removable plow blade that can lifted up and down, as well as be angled left and right. 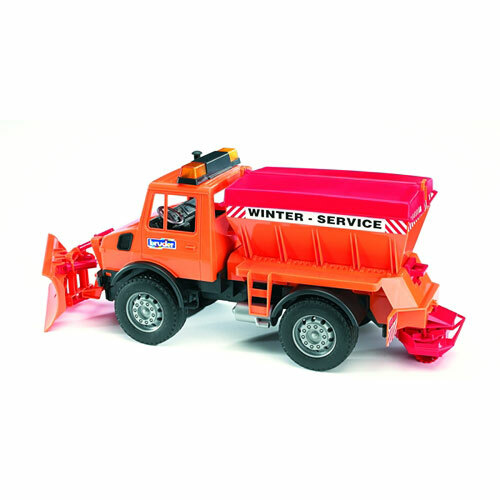 The silo container opens up for easy filling of sand or salt and the fully functional spreader mechanism has dual rotors for a wide spray range. Measures approximately: 18.50 x 6.30 x 7.70 inches..